We have expertise in all laptop brands and models of laptop including Acer, Apple, Asus, Dell, HP, Lenovo, MSI, Samsung, Sony and Toshiba just to name a few. If you are looking for an expert, reliable and 100% guaranteed laptop repairs specialist in Pallara that you can trust, Reboot Computer Repairs Pallara is here for you. We have successfully repaired hundreds of broken laptops including MacBook, MacBook Pro, MacBook Air, netbooks, notebooks and all other laptops in different screen sizes whether it is old or new. We have expertise in all laptop brands and models of laptop including Acer, Apple, Asus, Dell, HP, Lenovo, MSI, Samsung, Sony and Toshiba just to name a few. To have the best knowledge on all the laptop brands and models that we can support, give us a call at (07) 3155 2002 and our expert technician will help you on your specific laptop repair needs. Our workshop is open 7 days a week from 7am up to 10pm and even on holidays. You can bring your laptop repairs to us and we will have it fixed in no time. Our workshop is fully equipped with the most needed laptop repair parts and state of the art modern tools guaranteed to give the best repair service for your laptop. Reboot Computer Repairs Pallara takes pride in our expertise and professional connection to our customer in providing the unparalleled and economical laptop repairs anywhere in Pallara including nearby Brisbane suburbs. Our professionalism and expertise are backed by what our very happy and satisfied customers have to say about us in our customer reviews. 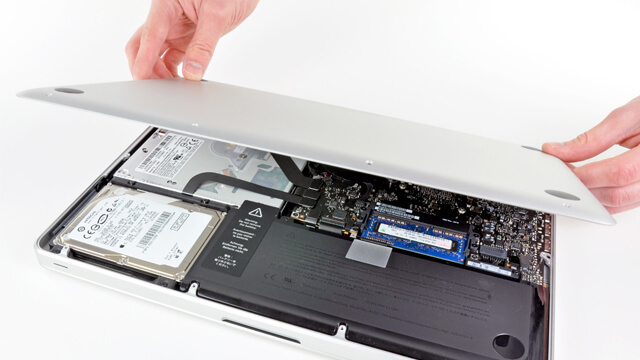 We are providing the fastest laptop repairs turnaround than most of our competitors and our standard repair jobs are completed in just an hour so you can get your machine back in the same day. We guarantee you that we can give you the perfect laptop repairs and solutions right in the first time. Reboot Computer Repairs Pallara has maintained its excellent reputation in the industry of laptop repairs with many years of experience in delivering outstanding service and value for money. Our customers are always treated with personal and courteous assistance by our expert professionals. We will have you understand what exactly is the problem of your laptop in plain English and non-technical terms including the cost of the fix – at a very affordable price you’ll get. Call us now today and experience our high standard and quality service.